Most investors use stock market brokers as a convenient way to start investing in mutual funds, however, this can be pricey since brokerage firms charge fees for every single transaction whether you buy or sell your shares. Can an average investor forego this common route and start investing in mutual funds without the help of a brokerage firm? The answer is “definitely yes”! This might not be as convenient since you will have to buy directly from certain mutual funds sites but after some getting used to you will get a good grasp of the system. Before you begin, learn some top mutual funds investment advice for solo investors. 1. Not all global mutual funds or commodity mutual funds shares could be purchased directly from the source by individual investors. Some mutual fund companies do not deal with small scale investors and prefer trading exclusively with certified brokerage companies. 2. Investing in mutual funds without a broker could be less taxing on your portfolio but it’s not entirely free. Various mutual fund companies will charge investors an annual fee if you do not meet their investment minimum or a flat sign up amount. These costs should be carefully considered when investing in mutual funds without a broker. You should definitely run a comparison of investing in mutual funds with and without a broker and whether broker fee savings do provide significant savings in the long run. 3. Opening an investment account through a mutual fund company is easy, all you need is to fill out an application, deposit transaction fees if any and learn fund company requirements. At this point you must decide whether you are going to reinvest dividends received from dividend paying mutual funds or deposit them separately in a specified by you bank account. Most mutual fund experts agree that by reinvesting you are strengthening your portfolio with each dividend allocations received. 4. It’s good to know that some of the best performing mutual funds companies offer great individual mutual funds investing accounts. Among such fund companies you can consider are Fidelity, Vanguard, American Century, Royce and T. Rowe Price. All of these have impeccable reputations and solid growth patterns over the years. 5. Staying organized is the key when investing in mutual funds without a broker. Since you are dealing with multiple fund companies, you need to keep your records organized and streamlined. If you are short on time or lack organization skills, you are better off investing with a broker since your transactions are going to be grouped into one brokerage account rather than through multiple accounts from different fund companies. Investing through a broker helps see all transactions on a single screen which could be vital for some investors. 6. Investing in mutual funds solo is not right for everyone because it’s really a hassle to buy from various individual fund companies; another option is to go with a discount broker or a low cost online brokerage company. You do not have to sacrifice convenience for savings. A lot of online brokerage companies like Vanguard and Fidelity offer great low cost individual mutual fund trading accounts. 7. Solo mutual fund investors should not overlook emerging markets mutual funds, though these could be risky, they provide a great opportunity to enter the emerging market sector at a very low cost. However, emerging market shares should only account for a small portion of your mutual funds portfolio and balanced out with diversified mutual funds to protect your portfolio from default. 8. Another great option for investing in shares without a broker is to consider buying individual shares of stocks from the companies trading them. There are specialty investment companies like OneShare that allow individual investors to open a DRIP account (dividend reinvestment plan). 9. Since some brokers don’t only do the trades under your name but can also provide the guidance and knowledge as to which mutual funds to buy at the moment, you need to have the knowledge of mutual fund screener yourself and ability to analyze mutual funds performance. Trading without a broker requires significant experience and knowledge of the stock market, various types of mutual funds and staying focused on your investment goals. 10. 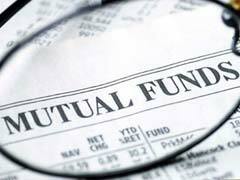 Finally, the most important advice on solo mutual fund investing is which funds to choose. Diversify by alternating investing in high performing mutual funds, alternative energy mutual funds, emerging market funds and even tax free mutual funds. Carefully assess your risks and stay true to your investment strategies to insure investing in mutual funds success.